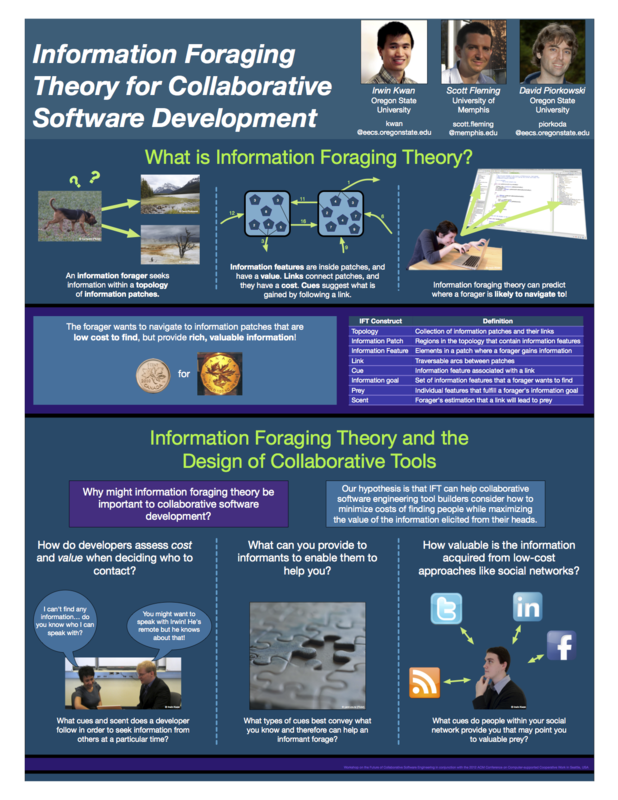 A poster describing the potential application of Information Foraging Theory to the way people seek information in social collaborative software development settings. This is a preview of my poster that will be presented at the Future of Collaborative Software Engineering workshop held in conjunction with the Conference on Computer Supported Collaborative Work 2012 in Seattle (Feb. 11-15). The poster explores how a theory of how people forage for information in their environments might be applied to a social setting where information may be in people’s heads as well as in the artifacts that they work on. Information foraging theory in general is a theory that postulates that people search for information in a way similar to how foragers in the wild search for food. In an environment, the forager wants to maximize the amount of high-value food for as low a cost as possible. In addition, indicators in the environment, like cues, suggest to the forager where high-yield places may be. 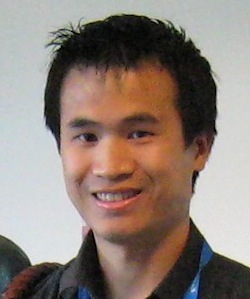 This entry was posted in Research and tagged collaborative software development, computer supported collaborative work, human-computer interaction, information foraging theory, poster on February 8, 2012 by irwinhkwan.